The glider from Memory Protection Devices offers an innovative two-part solution that combines the reliability of a coin cell holder with the price competitiveness of a coin cell retainer. The glider features a tray made of polypropylene (PP) that holds the coin cell securely. 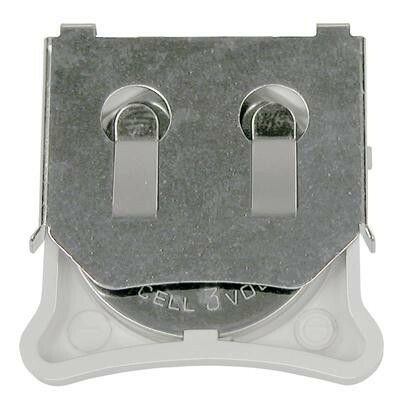 The tray glides into the retainer, which is constructed of nickel plated phosphor bronze. The retainer uses dual pressure contacts to provide an ultra reliable and redundant electrical connection. The plastic tray is constructed with tabs that allow it to lock and unlock easily, but hold the tray securely, thus enabling multiple battery insertions and extractions without causing the plastic tray to score or distort. The Glider is available in a choice of 20 styles, ranging from 10mm diameter (CR1025) to 24mm diameter (CR2477). The glider is also available in versions that can hold two coin cells to support 6V applications. 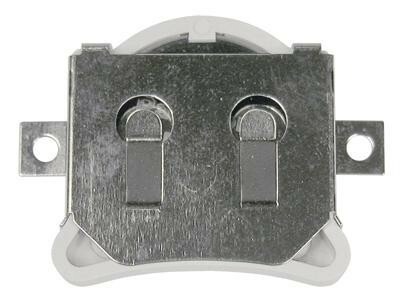 Gliders are available with either surface-mount or thru-hole leads to accommodate virtually any type of application. Gliders represent an ideal solution for applications that require extreme ruggedness and reliability at reasonable cost. Typical applications include automotive toll tags, remote controllers, and portable hand-held devices that are often subjected to shock, vibration or mishandled. Looking for a rugged and reliable coin cell holder with a gliding tray for easy battery access? Then you need to learn more about Gliders from Memory Protection Devices. are MPD’s CR2032 Gliders, for through hole and surface mounting respectively.